As a recently established Atheist who believes in the proof-driven mountain of evidence that humans are a result of Alien trial and error genetics (Neanderthals, Denisovan, Homo-sapiens) who were created in separate areas of Earth until humans were born and were allowed to multiply, I am oddly pressed to release this analysis of #Trump and the Bible's descriptions of the AntiChrist for us all to ponder as well. I preface this article with some credentials if you please. I do over 30 years as a professional actor, singer, dancer, writer, musician under my belt. I also have an Associate of Applied Science with studies in Nursing, Pharmacology, Psychology, Vet Tech, Physical, Biological, and Chemical Sciences. Further, I have studied Criminal Justice, Government Administration, Debate, Economics and most importantly, the Bible. My theological and biblical studies span eleven years, including five college courses at the Christian University, Liberty (LU). I landed several Dean's Lists, stacked up many 4.0 papers, maintained a 3.85-grade point average, and am a Tau Sigma Transfer Student Member. We can take a close look at seven biblical scriptures describing the personage of the Antichrist. In order to keep this article within our word limit, I am forced to only give you the references, and not the full scripture for each of the seven passages I will discuss. 2 Thessalonians 2:3-4 tells us to not be deceived by a man of sin, who opposes God, exalts himself, is worshipped and sits in the Temple of God. When we reflect these premonitions onto Trump, the image in the mirror emits a history of sin, A man who goes against the word of God, Loves himself, is worshipped by many and has put himself in control of the city of Jerusalem, recently. Next, we turn to Daniel 7:25, as they say in some churches across the nation who are worshipping this man themselves. A path of choice which reflects the sheep following the Wolf. Daniel tells us that the Antichrist will speak pompously against God, and will try to change the times and the law. Many saints will follow him and be his supporter for a time. Anyone will admit that Donald Trump is one of the most narcissistic leaders in history and that his hate cloaked hate speech once again stomps on Christ's words to 'love one another as you love yourself'. The reference to the change of times can be pointed out in his seemingly push to return to the days of racial divide and hate in America. The changing of laws is just too obvious to point out, but if I must, I'll just list them. Russia, Obstruction of Justice, DACA, the wiping out of environmental and market protection laws, to name a few. Here, I must combine Revelations 13:3 and 13:5. Together they may be telling about Trump's coming days. These verses have the Antichrist being mortally wounded in his head, and then returning to life, and becoming even more greatly worshipped by his sheep along with a prediction that he will speak blasphemy for 42 months. Is it possible that this predicts an assassination attempt on his life 42 months into his Presidency from which he dies briefly, is announced worldwide and then breathes life again within a common frame of time? It has happened with other humans, including my own brother, but for a leader like Trump, it would send vibes through the governments of the world, and he may be touted as inhuman, or unbeatable. The final three verses to look at, give us pause as to whether Trump could be the Antichrist, or a pre-Antichrist as is touted in these passages, and would put his name among those of Hiter, Stalin, and such leaders, who have been said to be the pre-markers to the beast. 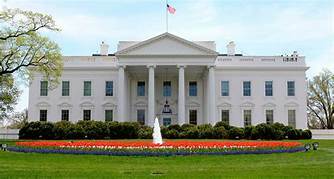 1 John 2:18 and Daniel 7:24 speak of the several Antichrist's to come before the final beast who will subdue the other 3 major leaders of the world. 1 John 2:22 states the Antichrist will eventually deny the existence of God and Jesus Christ, and announce he is our God. My two arguments that this could also possibly point at Trump is that he seems to be controlling Putin, Xi Jinping, and Netanyahu despite their attempts to seem powerful. 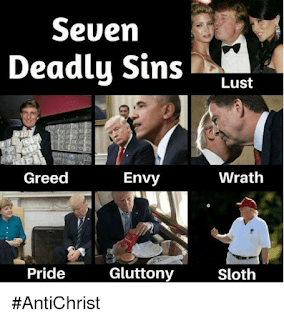 Trump has not come out and stated literally that there is no God or Christ, but his followers are mostly Christians who are said to be blinded by the Antichrist until he makes his declaration. Again, Trump already represents the antithesis of God's word with his vileness, hate talk, and deceit. One more prediction speaks to the number of the beast and his calling to label his followers. I am unable to find current affairs to that match this event, but Trump's reign is not over yet. Is Trump the Antichrist or a precursor? After that analysis, I would still like to stick with my theory that religious belief and the Bible are stories written by Ancient humans whom could not fathom the continuing arrival of aliens to Earth, and wrote their remembrances in archaic forms of communication. I would like to tell you Trump is just a bad guy who we have to get rid of. I will state that we can take a cloud and make it into what we want to see. So, could I just be painting a picture the Bible gives us and fitting Trump into it incorrectly? Well, I guess that will be up to you to figure out. However, I sure wouldn't want to be caught by a possible God, being the follower of the Antichrist. Many Christians love this man as the Bible predicts of the Antichrist They are ignoring the fact that Trump is the opposite of all the goodness they are supposed to represent. They seem to be a very confused lot, and I can't help but putting it all together and thinking that we all might be in trouble soon. Better to be safe than sorry. So, I urge you to take the side of goodness, the road of humanity, and instill the truth of love, justice, and harmony in your souls! If you do this, no matter what is true, you will be protected when it matters.